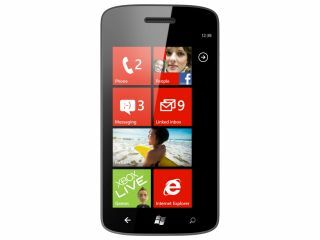 Microsoft's stringent hardware specifications for Windows Phone handsets will one day include dual-core processors, but not until the associated software and hardware are up to the job. But it's no biggie, according to Andy Lees, head of the Windows Phone unit, who defended the current batch of Windows Phone 7.5 handsets against their higher-spec competition. "They're all single core, but I suspect that they will be faster in usage than any dual-core phone that you put against it, and that's the point," he told All Things D, going on to explain that Microsoft is in favour of multi-core processors. "I think that what our strategy is is to put things in place that allow us to leapfrog, and I think that's how we've gone from worse [sic] browser to the best browser, and I think the same is true with hardware." And Microsoft is remaining optimistic about the future for the Windows Phone platform, too. "We're not making specific predictions but I think that our momentum is going to build," Lees went on. "Our first [release] was about mindshare, and really getting the credibility, and I think [Mango] is really about starting to build unit volume and market share." Translated from marketing speak into regular English, that means that Windows Phone 7 was about proving that Microsoft could build a mobile platform that isn't completely hideous to use, and Windows Phone 7.5 is about getting that mobile platform into people's pockets. With Nokia's Windows Phone handsets just around the corner, MIcrosoft hopes the mass market world is about to become its oyster.